This card was made with the Flower Shop Bundle. I stamped the flowers on the Whisper White layer and then punched them out with my pansy punch. 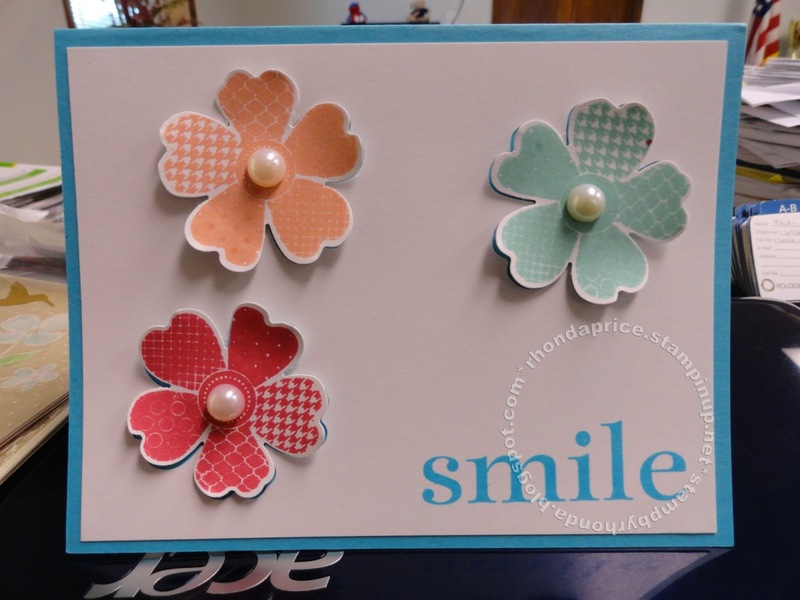 I used Stampin' Dimensionals to pop the flowers up over the blank spaces from where I punched. It shows a shadow from the Tempting Turquoise card base underneath. I used the Smile sentiment inked in Tempting Turquoise from the Happy Day stamp set. The Large Pearl Basic Jewels make the perfect flower centers.